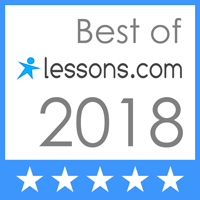 If you are looking for high quality private music lessons for all ages, you've come to the right place. Kat has an enormous depth of musical knowledge, skill, education, experience and passion when it comes to either teaching piano, composition or music theory. Every student is different and the goals vary. Therefore, the lessons are completely customized based on the student's needs and abilities. Having the ability and experience in a wide range of musical styles, Kat has a unique and creative approach to piano teaching. Whether you are a beginner or are looking to grow as a pianist, you will get a strong foundation of piano skills that will last you a lifetime. Kat uses her own original materials that are designed to work on specific areas and are a lot of fun to play. As you progress, you will learn pieces from the standard classical repertoire as well as any contemporary pop or religious songs you may want to learn. If you are interested in jazz improvisation or learning how to read, play or hear chord progressions, Kat enjoys teaching that too! READING/INTERPRETING MUSIC - an essential skill so you can play anything by picking up any sheet music. However, reading the notes is not enough. Phrasing, hearing different voices in the melodies, adding character, to name a few, are components just as important when interpreting a piece of music as playing the right notes. PROPER POSTURE AND TECHNIQUE - the playing should not only sound good, but FEEL good as well. A proper hand position helps create a beautiful sound as well as prevent you from hurting your arms. Having been a concert pianist, studying with amazing teachers, and playing the piano from 5 years old, Kat is a master at hand position. BASIC KNOWLEDGE OF MUSIC THEORY - understanding how music works is crucial to a well-rounded musical training. You don't just blindly read the notes off the page, but you understand the basic form, chord and melodic structure of the piece. This understanding will improve and add depth to your playing. Finally, THE LESSONS ARE ENTERTAINING! Kat is very enthusiastic and charismatic when she teaches. There is no time wasted during the lessons. You will feel inspired and motivated to play, learn and practice. Someone once said, "you can't teach composition". While this is true, a little original musical idea is enough to be able to guide its creator in developing it into a full blown composition. First, bring an idea (i.e. melody, chord progression) you've created. It doesn't have to be written down. You can play it on the piano or sing it. Next, Kat will show you ways to develop it melodically, harmonically, rhythmically, structurally. It's always an interesting and creative experience watching your ideas come alive. You will also learn how to write for different instruments. Most instruments have something unique about their notation. The possibilities are endless and the lessons go by fast! That's a sign that they are productive and fun. If there are two or more students per household, a discount of $5/lesson will apply. If a student cancels: One make-up lesson will be granted each month. A minimum of 24 hours notice is required unless there is an illness or emergency. If the teacher cancels: All missed lessons will be made up.